Creating the perfect atmosphere for your wedding with personalized DJ services in the Hudson Valley, NY region since 1997. Specializing in elegant, unique wedding music and entertainment. I want to create an unforgettable wedding day that is reflective of your personal tastes. Call or email for availability and details, or read more to see if we’ll be a good fit for each other. There are many aspects to a perfect wedding celebration. The most important one is getting what you expect. 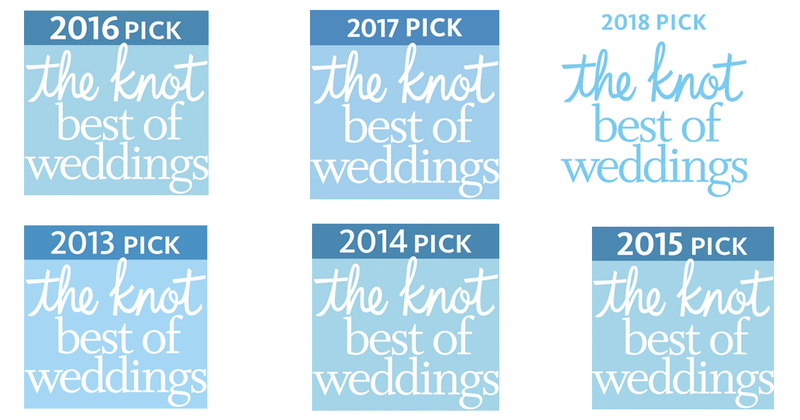 If you are looking for a wedding that is classy and fun with a DJ that is engaging but not annoying and obtrusive, you’re in the right place – because that is exactly my style! Oftentimes your wedding day is something you’ve been dreaming about since childhood. That’s why my commitment to you is to make your wedding day exactly how you dreamed it would be. I will play the music you want to hear – if you’re not sure yet exactly what that is, together we will figure that out. Let my twenty years of experience help guide the direction. Together we will tell your story and really capture your personality as a couple, making your celebration truly unique! My style of creating a comfortable and natural party atmosphere will keep your guests dancing all night long. Playing the right music at the right time and letting your party unfold into its own amazing celebration is my specialty! I am an owner/operator DJ service – not a big company. That means you will work with me exclusively. You will meet with me and talk with me. I will be the one at your wedding, not someone else. You will get the personal service and attention you deserve. I am there to orchestrate and carry out all of the details of your wedding day without being the center of attention. Many couples tell me that they feel an enormous sense of relief when booking me because they know they will get the kind of reception that they were looking for. Entertainment is a crucial part of the success of your wedding celebration and often times is one of the only things your guests will remember. I will take the time to get to know you personally and learn your expectations. I will put your mind at ease. You will know with total confidence, that I will make your wedding day perfect! Ready to create your perfect day? Email me or call (845.473.0041) for a free consult! Yes, I always have a spare sound system on site in case of an emergency. I am always properly dressed in a suit. I will be the DJ at your wedding; I do not have other DJ’s working for me. Can we see you at a wedding? All of the weddings I do are private affairs, so I don’t invite couples to see me. When I am doing a wedding I am fully dedicated to that couple’s celebration. I can, however, give you references of recent past clients to contact. Yes, I am fully insured with acceptable liability coverage for any venue. Can we meet with you prior to booking? Absolutely! I recommend that we meet. This is the perfect way to get to know one another and discuss my style and your ideas. Yes, I have a contract that is signed by both parties (you and me) for your booked date. That, along with your small non-refundable deposit secures your date with me. Who picks the music played at our wedding? We both do. I’d like to know about your musical tastes, likes and dislikes. I’d like to know some of the songs you would like to hear and equally important, what you don’t want to hear. I will fill in the rest along with taking requests from your guests. My digital music library includes music from the 1940s through today’s most popular songs. I use high-end pro audio equipment that is always clean and very presentable. I use a façade as my front display to conceal any wires. I also provide a wireless microphone for speeches and toasts. Do you have dance lights? Yes, I certainly do. In fact, I include lights with my service! My lighting is elegant and fun. Born and raised in the Hudson Valley, and a graduate of Marist College in Poughkeepsie, NY, I have a deep connection and knowledge of the area, both personally and professionally. After getting my communications degree, I surrounded myself with music and sound production. As a professional I have had the opportunity to work at many high level events, both as a DJ and as a sound engineer. Thanks to these various experiences, I’ve been exposed to all types of events and genres of music. I have been able to develop my knowledge of music and how it relates to people. In August 1994, I was the DJ at my first Hudson Valley Wedding – and have not stopped since! I opened my own DJ business, DJ Domenic Entertainment in 1997, and have been the sole owner and operator. I love what I do because each wedding is a new opportunity to express and share the love of the bride and groom with their friends and families. 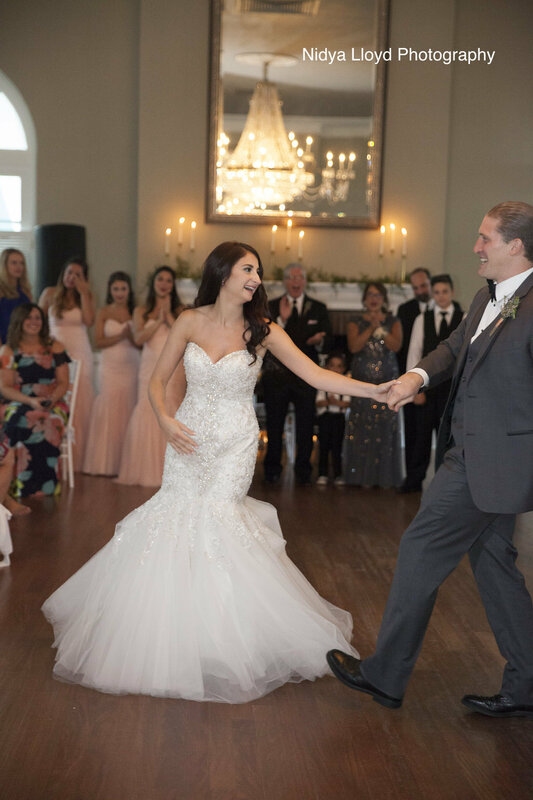 in venues such as The Grand View, Dutchess Manor, The Poughkeepsie Grand Hotel, The Rhinecliff Hotel, Red Maple Vineyard, Christos, The Links at Union Vale, The Villa Borghese, The Garrison, The Highlands Country Club, The Thayer Hotel, Locust Grove, Belvedere Mansion and many others. Over the years I have expanded my reach to not only being a Hudson Valley DJ but a Westchester DJ as well. I also provide audio/visual support and entertainment for businesses. Returning annual corporate clients such as Estée Lauder, IBM, Central Hudson and Vassar College have added new dimensions to my service. In addition to working on my clients’ weddings, I have insider knowledge of exactly what a Hudson Valley wedding can and should be. I planned my own wedding, with my wife, back in 2006 and loved every moment of our celebration. I can also make recommendations about Hudson Valley specifics, in you’re not 100% sure what you want or who to work with. Currently, I call the Town of LaGrange my home and live here with my beautiful wife daughter and son. Through years of experience, I understand the importance of getting to know each and every client. A good DJ has to pay close attention to even the smallest of details. I work closely with you prior to your wedding or event in order to fully understand exactly what you are looking for. Getting to know you and developing a rapport is the key to instilling trust and confidence that your event will be a success, exactly how you envision it to be. No "cookie cutter" weddings. Instead, I help produce exactly what you want your celebration to be. Want to know more about my experience and how it can serve you? Email me or call (845.473.0041) for a free consult! A Garrison Wedding at it's best! If you are interested in working together, or just want to learn more about my services, please email or call to set up a consult. Please include information about your wedding day. I look forward to hearing from you!